Rather unusually, what we have here are two separate albums coming out at the same time and representing work going back some time despite the fact both are newly released. 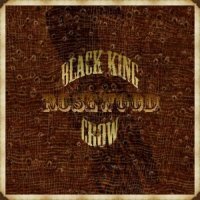 The work of one man, Bastion Highwalk, who plays all instruments and sings, it is interesting to note that apparently 'Rosewood' was meant to be the main album with 'Old Sins Cast Long Shadows' released as its buddy. However, given my favourite tracks are on the latter, I am very happy he decided to release both of them at the same time, although I would definitely recommend listening to '...Shadows' first until you get acclimatised. Looking at 'Rosewood' first, 'New Mexico' and 'Drive' are very much drifter road songs. There's a definite outlaw Country feel to much of this material; think cowboy down on his luck. Highwalk is primarily a guitarist, but a lot of the material like 'Rosewood' is biographical so I understand his decision to sing them himself as in many ways they are part of his DNA. While much of it seems vintage in style, the lyrical subjects are remarkably contemporary, especially if you are lucky enough to be told what songs are really about from the horse's mouth. Tracks like 'Lock Me Up (And Keep Her Out)' have a Country twang and shuffle with more fuzz and may appeal to fans of The Georgia Satellites or The Black Crowes. There's plenty of electric slide guitar on cuts such as 'Rollin' On', while 'Heaven Is A Hot Wired Car' has an impressive bluesy solo. Despite the vocals being a little jagged at times, there's something very human and, therefore, very real in the imperfection, and they suit the honest and sometimes heartbreaking nature of the material, such as 'Where The Tissue Meets The Bone'. Highwalk is capable of a mean hard drinking song and 'Underneath The Neon Signs' is an atmospheric example of this. 'Snake Oil' rounds off the first album with more of a straightforward and traditional Blues approach featuring long guitar passages that extend its length to over seven minutes, but this was never going to be music for those in a hurry. 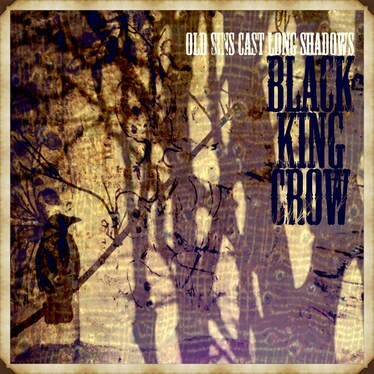 However, it is in the 'Old Sins Cast Long Shadows' album that Highwalk does, in my opinion, save the best for last. While both albums have a similar type of character, my life felt better enriched by the humour and idiosyncratic nature of 'The Ballad Of Dusty Pines' and 'You're Gonna Have To Carry Me Home' in a way I wouldn't be without it, so that should be enough of an endorsement for anybody. This second album is also, in my view, more accessible and with the aforementioned two tracks, as well as 'They Ain't After Me' and 'Devil With A Dime Store Heart', I simply think this one has the better songs. Very much influenced by The Rolling Stones, this is traditional Rock 'n' Roll with a rough edge. While I wasn't sure I liked either album on the first listen, after a few spins some of the tracks really won my heart.